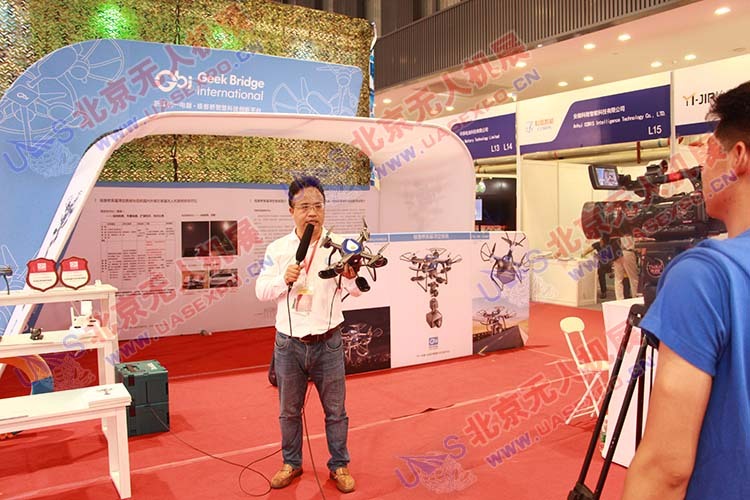 Zhejiang GBI (Geek Bridge International) Intelligent Equipment Inc. Is an enterprise specializing in research, develop and manufacture of intelligent equipment. Registered capital is RMB 20M. Currently GBI’s business focus is on product development, innovation, technology, manufacturing and services. Company’s main site is located in Shaoxing, KeQiao Economic Development Zone, one of the National Class Economic Development Zones. It’s other Research and Development centers spread across in Beijing, Hangzhou and Xian. GBI Tethered Hovering Rescue System is based on drone’s technology in conjunction with video, illumination, intercom, and emergency modules to achieve seamless interface. This can provide better solution to police, fire, power, forest, road, bridge and building authorities under complex environment to conduct emergency rescue, handling mass group events, night time operation works etc.. Through actual on the spot testing, it reveals this system’s performance is powerful, effects are obvious and can hovering in the air for a prolong period of time without limited by shortage of power. When applies on special conditions (especially on unexpected cases), it can provide long time uninterrupted air monitoring and emergency communication, emergency illumination works etc. This system can overcome some of the drawbacks facing other tethered hovering system today like : large size, not easy to carry, hard to set up and causing safety hazard when dropping to the ground etc. GBI follow it’s own innovation design concept to integrate and optimize the design, It has optimized the illumination and communication modules’ mounting design, greatly reduce the weight, safety, degree of response and easy to carry.